Planting is not done yet for the season, but this time you get to plant and then kick back and let mother nature take over. GARLIC- From now until the beginning of November, roughly, garlic should be planted. There are two types, hard neck and soft neck. Check out this website for info about types and planting. COVER CROP- One of the best ways to improve your garden’s soil quality and fertility. Cover crops are crops that are grown for their organic matter and nitrogen fixation function rather than for a harvest. They are grown over the winter and tilled into the soil in late winter or early spring before they fruit or produce seeds. Plant NOW to give them a chance to germinate and grow a little before winter sets in. For more information check out this site. FLOWERING SPRING BULBS- Plant now to prepare for learning opportunities in the spring. Phenology, the study of periodic biologic phenomena, or the study of cycles that occur in the natural world, is a fascinating topic. 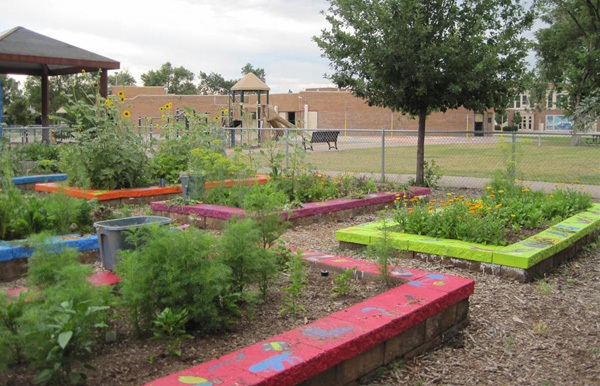 See the “Follow the Signs” lesson in Slow Food USA’s National School Garden curriculum. Follow this link, select the “Good” curriculum and go to page 21.